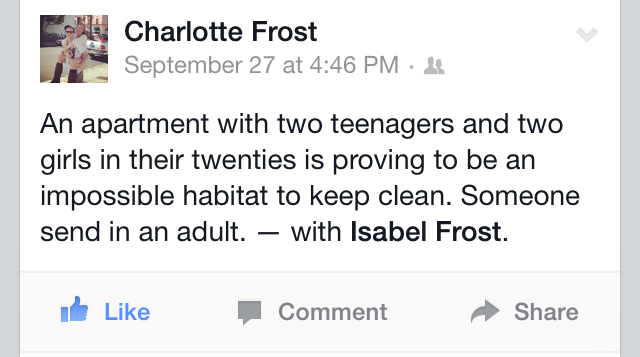 So Char posted this on Facebook. So true. It’s becoming a bit much. We have the twins do chores and we each have an assigned room to clean by Sunday at 9pm each week, but it’s just not proving to be enough. I think it’s time for a massive clean out. My dad was sick for years and things have piled up. Now add in the fact that Char and I both just moved our apartments into this space and our storage units. We’ve got some major spring cleaning to do and we are not waiting for spring for this to happen. Plus, we need to cut down on all costs so the storage unit has got to go.